It is a truth universally acknowledged that a superhero must have an origin story. Although little might be known about the hero upon first acquaintance with the reader, origin stories serve to illuminate the histories of these characters, and simultaneously uncover the driving force behind their missions. 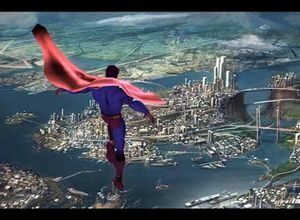 One has only to think of Superman and his intention to protect Metropolis – and in turn the world – after suffering the traumatic loss of his home planet. Batman is driven to protect Gotham after painfully witnessing his parents’ death. Spiderman is compelled by his guilt, which he carries with him after the death of his uncle. After dishonorable discharge from the army, Batwoman aims to serve and protect Gotham in a way that she no longer can for her country. These are perhaps some of the best-known origin stories, but the list could go on. You might ask: What do superheroes and their origin stories have to do with mental health? The idea is quite simple: the superhero narrative, with its emphasis on an origin story, asks a question that offers a powerful alternative to the suffocating, demanding query offered by the diagnostic model which informs so much modern mental health practice. The diagnostic model does not consider origins. Instead, when it asks, ‘What are you?’ it occupies itself only with the symptom – the superpower – of the individual. In opposition to this, the superhero story proposes that the superpower is a physical manifestation of the origin, and while it does provide insight into the individual, it does not define the character. The superhero story asks: ‘Where have you been?’ Mental health practitioners might learn from this insight, and recognize the need to look beyond the proverbial ‘bams!’ and ‘pows!’ of our clients’ lives. We must not simply be preoccupied with symptoms. It is not the flashy fights that have driven the popularity of superhero stories, and that spectacular kind of ‘action’ should not be the sole focus of clinical practice. An origin story is integral to any superhero narrative: we have to appreciate the history of the individual in order to understand his or her current emotional and mental condition. Indeed, the origin story is retold so often because all the other stories depend on our familiarity with the personal narrative of the characters involved. What is uncovered in analysis is the origin story of an individual. And just like in the superhero comics, when a therapist works with a patient he or she has to bear witness to the different incarnations of the individual, and to every time the hero saves the city, the world, the universe he or she is protecting. And so I suggest that psychoanalysis and superhero comics share a curious common feature, one which the current incarnation of mental health practice might learn from: they both share a devout investment in the unique origin story of each human being. Camden precisely captures the mutual interest share by the superhero narrative and psychoanalysis: ‘A psychoanalysis … like a work of literature, is unique. It is not typical; it is not in that sense ‘repeatable’.’ (Camden, p. 100) Much like an analysis, a superhero’s origin story is also not repeatable. It is always unique. A superpower – the tangible manifestation of the origin – might be repeatable, as seen by the fact that many heroes have the same powers, but the origin story itself is not. An origin is unique and particular; our knowledge of it illuminates the patient’s actions, and, in turn, allows us to help him or her. While it is very easy to be distracted by symptoms, we must look beyond the tip of the iceberg, and delve into the origin. Mental health practice should not simply be about identification – as is proposed by the diagnostic model – but rather about exploring the history of the individual. In fact, Superman is unique and exciting not because he can leap tall buildings in a single bound, or because he is faster than a speeding bullet. Rather, what entices readers and fans to return is the origin story: learning about the traumatic events which motivate his mission. Superman’s ability to sublimate his traumatic origins by means of heroic acts is what has kept readers returning for more than seventy-five years. And although Superman could perhaps take over the world with his powers, instead, because of his central purpose, he chooses to use his powers for good. The same is true of Batman, Spiderman and Batwoman. In recent years we have also seen a rise in the interest of female origin stories, and an increasing desire to understand not only the origins of female psychology but also female trauma.1 It is no surprise that some of the best selling comics of all time are retellings of origin stories, including Batman: Year One; The Killing Joke; Superman: Birthright; and Ultimate Spider-Man. Readers of superhero comics return to the origin stories so as to (re)experience those characters’ unique narratives, and to understand how their histories sustain their purposes.